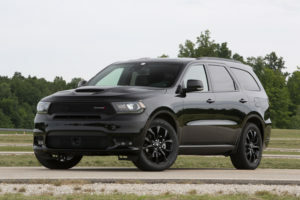 Attention fans of full-size, three-row SUVs and/or the iconic Dodge Brand in general: The powerful yet sophisticated Dodge Durango is launching into model-year 2019 with five distinct models and a solid range of performance and powertrain options, from the 475-horsepower Dodge Durango SRT® to the efficient V6 power of the Dodge Durango SXT. All-wheel-drive capability will be an available feature for all models. 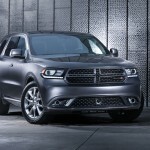 Of particular interest to small-business owners might be the 2019 Dodge Durango GT. While continuing to deliver impressive V6 efficiency (good for the budget), the GT will do so with the SRT and R/T’s performance front fascia and LED fog lamps (good for first impressions). 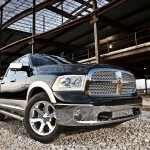 To up the “wow factor” further, an SRT-inspired performance hood with center-air-inlet duct and two heat extractors will be available. 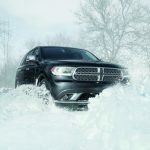 Here’s a short rundown of other changes to the Dodge Durango lineup for 2019. For the full Durango experience, visit a BusinessLink dealership near you – the new Dodge Durango models are available for order now and will begin arriving on dealership lots this fall. 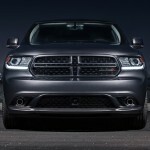 *Please note the Dodge Durango SRT is not a BusinessLink-eligible vehicle.